There is going to be a little over a week this summer where we have ten kids in our house. The ages will vary, but needless to say I am looking for some fun ideas for kids we can do together to keep them entertained. I am thinking a balloon rocket that goes from the upstairs landing to the backdoor might be pretty fun. 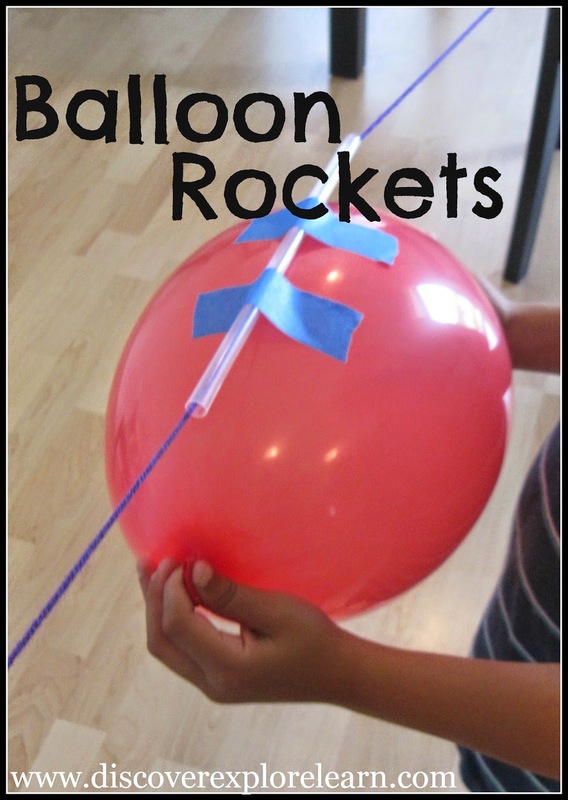 You can check out the details of how to make balloon rockets with your kids over at Discover Explore Learn.